Brittany joined NLG Wealth Management in 2017 after working in healthcare in both management and consulting, as well as luxury retail management. 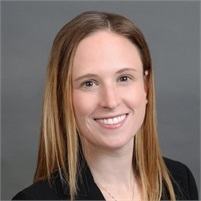 Brittany holds an MBA from Union Graduate College and a Bachelor of Science in Business Administration with a concentration in finance and marketing from Villanova University. Disciplined and motivated, Brittany has extensive experience in client relations and data analytics. Brittany holds securities licenses Series 7 with LPL Financial and Series 66 with Capital Financial Planning and is dedicated to continuing her education in the industry. Born and raised in the Capital Region, Brittany enjoys living in Delmar with her husband, Nick. An avid fitness enthusiast, Brittany has completed 2 half-marathons. When she is not working, you might find her running, skiing, or traveling off to her favorite global destinations.